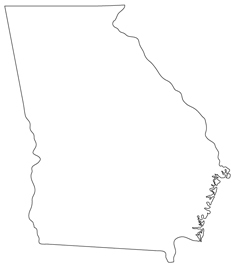 The U.S. Census Bureau has the estimated population of Georgia at over nine million. This state has a great need for Georgia computer forensics examiners. Throughout the state of Georgia many boot camps have been available in the past as well as training sessions provided by the University of Georgia Police. Computer forensics has become a very important necessity in today’s world, and those in the field of computer forensics in Georgia are doing everything they can to embrace and nourish its growth. Computer forensic degrees are becoming more and more prevalent in schools across the country. This is also the case in the state of Georgia. Why is this? Even though it is a relatively new field, the need for computer forensics experts is in high demand. In the past, skills needed for doing the work of a computer forensics examiner have been obtained through certifications and on-the-job training. However, times are changing. With such a high demand in the area of computer forensics, many schools are changing gears and trying to work these programs into their curriculum. This is no easy task and many online computer forensics schools and distance learning colleges are beating the campus colleges to the punch. In Georgia there are very few colleges with programs in computer forensics. In the realm of computer forensics is the CIS-Information Security Specialist program offered at Chattahoochee Technical. Another college which offers a program in computer forensics is the Kennesaw State University’s Southeast Cybercrime Institute in Kennesaw, GA. Here the school has a Computer Forensics Training and Certification program. While this may not seem like very many campus-based programs for the state of Georgia, these are the findings across the country. Because of this, online colleges are finding a niche in computer forensics. Many of these online schools are offering degrees, programs and training in computer forensics; not only through their online curriculum, but many have branched out and now have campuses throughout the United States. When it comes to standard operating procedure in computer forensics, every state has its own laws and procedures. Currently, Georgia is operating with regards to the Federal Rules of Civil Procedure Amendments. There are no additional state laws or statutes on the books in Georgia concerning computer forensics or data recovery. Georgia is among the majority of the states which require any individual practicing data recovery with the intent of using found information in a court of law be a licensed Private Investigator in that state. This is referred to as electronic discover or e discovery. While this is not an issue for the Law Enforcement Agencies working across the country it could prove to be an obstacle for those working in the private sector as computer forensic “specialists”*. According to the U.S. Department of Labor the estimated average income in the state of Georgia for all employed in the state was $37,150*. Currently, the average annual pay for computer forensics examiners in Georgia is almost double the average salary in this state at $72,000**. Across the state of Georgia, the average income for examiners fluctuates greatly from region to region. In Hinesville, GA, and Athens, GA, the average annual income for computer forensic examiners is $66,000**. However, in the capital city of Atlanta, Georgia, computer forensic examiners are making an average income of $77,000**, while in Savannah, GA, examiners are making $63,000** annually on average. These are typical results, as income tends to correlate with city population.